She's one of the only artists using a long-lead album release cycle — and it's working. Taylor Swift once said she hates being called calculating. But professionally, well, Taylor Swift might just be the most calculating celebrity in the world. Nothing — not her tweets, not her timing, not her announcements — is done by accident. And nowhere is that precise premeditation more successful than in the months leading up to a new album, where she creates a release cycle so finely tuned it generates more hype and money than anyone else. Because Swift is such a massive star, and because her team (who did not respond to multiple requests for a comment) is so smart in their planning, how she chooses to release an album not only tells us a lot about her, it’s a microcosm for how the music industry has changed. Swift's sixth studio album, Reputation, isn’t due out until Nov. 10, which means — with her first single, "Look What You Made Me Do," being released last week — Swift is working on an almost three-month lead time. This more than 70-day buildup to a new album is hardly standard anymore in the music industry. In fact, the way Swift is releasing Reputation harkens back to an older model of music distribution that very few artists can still work well within. 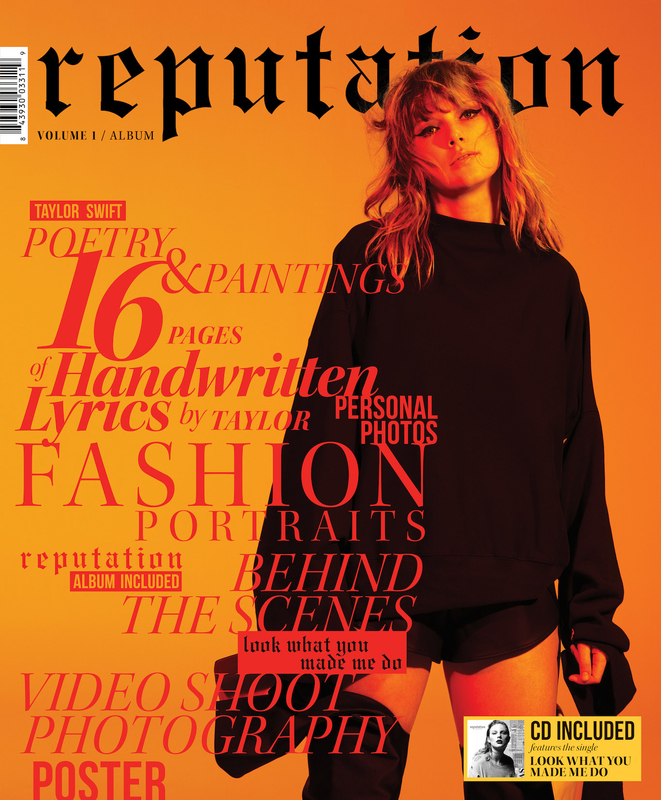 “Long lead cycles like Taylor’s [are] a relic of print medium,” said George Howard, an associate professor of music business at Berklee College of Music. “Long lead magazines — like Vanity Fair, Wired, etc. — all plotted their issues out months in advance to accommodate for writing, editing, and printing.” Historically, an artist who wanted to get press coverage needed to announce the release of their album early enough to get space in those issues, their best chance for finding new fans. "It was just the beginning of two more years of Swift." The internet, of course, is where Swift thrives at building hype. Last week, all of the star’s social media suddenly went dark. Her photos, her bios, her friends, her retweets, her avatar — all were gone, and in their place hung a suspense worth millions. “I knew this was it,” Sammie Carter, a 29-year-old Swift fan from Long Beach, California, said. “I knew she was prepping for another release.” Of course, Carter was right. Soon there was a glitching 10-second video of a snake on Swift’s Instagram, signifying the official start of another Taylor Swift release cycle. 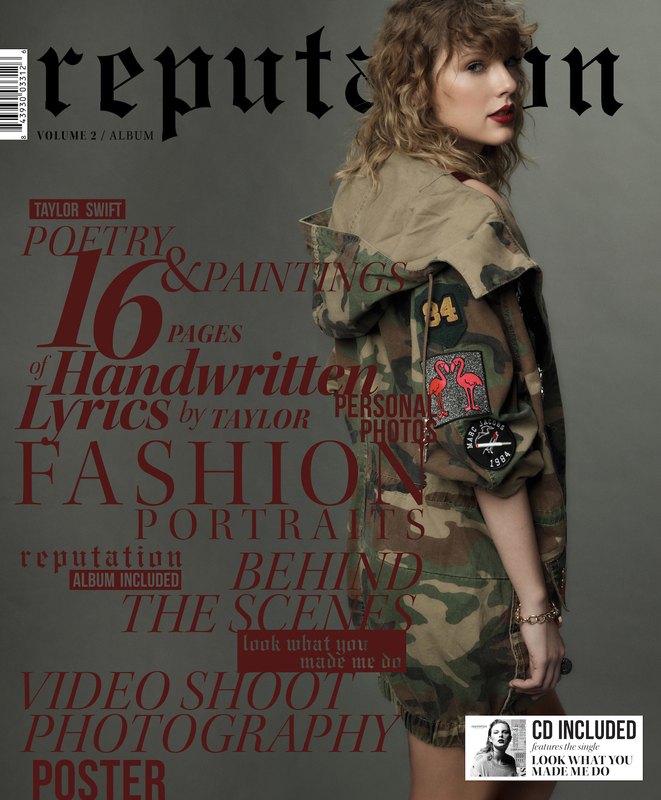 In the days that followed, there was the announcement of Reputation, with accompanying art. Then, she released “Look What You Made Me Do” at midnight on a Friday because (as of 2015) the Billboard Hot 100 chart counts streams and purchases from Friday to Friday, which put her song in the best position to potentially go No. 1. There was also the lyric video, a Good Morning America music video teaser, a UPS partnership, snake-themed merchandise, an MTV VMA premiere of the music video, two Target zines, and a Ticketmaster collaboration that encourages fans to buy merchandise and preorder the album in an effort to get tickets to a not-yet-announced tour. It was just the beginning of two more years of Swift. Nothing signified that the era of the long lead album release was coming to a close quite like Beyoncé’s 2013 surprise self-titled album, which sold 617,000 copies in the three days that counted toward its first week sales. Beyoncé broke the previous first-week record held by, of course, Swift’s 2012 album Red, which sold 456,000 units. “It was proven that a single released months in advance didn’t have to take place,” Philp said. “Fans didn’t need a tease, or a taste, of the music before release to convince them to buy the album.” But very few artists move more than 100,000 copies in their first week. And, of course, most artists can’t pull off a surprise drop. Beyoncé and Swift are in a totally different league, and their release cycles prove that: Swift’s PR plan is longer than any other artist’s, and Beyoncé’s is shorter. “It's becoming increasingly clear how outmoded this long-lead cycle is,” Berklee professor Howard said. “Taylor Swift is somewhat in a class of her own, and is not instructive to other artists.” Most artists are fumbling somewhat in the dark now. There is no one-size-fits-all promotion plan that will work in the digital age. “There aren’t rules to album releases anymore,” said Kristen Foster, a publicist at PMK-BNC who works with major artists such as Tim McGraw and Joan Jett. "The longer the hype cycle, the longer Swift’s songs are played." Some artists still want mainstream print coverage, some want to get picked up by alternative and indie publications, and some just want to hand their music straight to their fans. “The rule book has gone out the window, and bands can decide what works best for their music and their fan base,” said Foster. There’s an excitement to the surprise drop that artists and fans love. In the past four years since Beyoncé’s self-titled album, Kendrick Lamar, Radiohead, Drake, and Rihanna have dropped surprise albums without promotional buildup. In the last year, two brilliant and beautiful albums by artists who aren’t superstars — Chance the Rapper’s Coloring Book and James Blake’s The Colour in Anything — were released unexpectedly. There is no data to prove whether those albums would have sold better with a longer hype cycle or not, but the surprise drop certainly has a dramatic urgency that gives artists a bit of attention they might not have gotten otherwise. A half dozen experts on the changing music industry agreed that artists are increasingly opting for shorter cycles. Motormouth Media CEO Silverman said that for her clients, a happy medium is something like a two-week buildup, which gives fans enough time to get excited, but not so much time that the hype dies off before their album comes out. So why, in 2017, when everyone else is compressing their album cycles into bite-size moments, is Taylor Swift maintaining a three-month hype cycle? Because she’s an artist, but she’s also a brilliant businessperson. Swift's "Look What You Made Me Do" video. While still on the 1989 tour in June 2015, Swift then turned her attention to Apple Music, writing a stern letter on her Tumblr that she would be withholding 1989 from the streaming service because of the service’s three-month free trial, which she said could be debilitating to young struggling artists. Apple retreated within 24 hours, saying they would pay artists for the three-month period. Swift then signed a deal with Apple Music (like Drake), giving them exclusive streaming rights for her entire catalog and performing commercials for the streaming service. In June, that deal ended, and her work returned to other streaming sites as well. Streaming is still a fluctuating distribution system that most artists don’t have the clout or financial leeway to negotiate with, the way Swift has done consistently and successfully. After all, “Look What You Made Me Do” broke Spotify’s global first-day record with 8 million streams. The video broke Adele’s single-day Vevo play record with 30 million views. On the first three days of airplay alone, it hit the Billboard Top 100 at No. 77, and is expected to steal the No. 1 slot from the previously untouchable “Despacito.” The single is predicted to sell half a million downloads in its first week, which is more than any song has sold in the past six months. All of these record-breaking numbers create headlines, and all of those headlines add to the hype. The longer the hype cycle, the longer Swift’s songs are played in anticipation of the full album release — and the more financial opportunity to sell music. Fans at Taylor Swift's 1989 tour at Raymond James Stadium on Oct. 31, 2015, in Tampa, Florida. While Beyoncé fans love the drama of a surprise drop, the Swift fans who spoke to BuzzFeed News said they didn’t want one. “Although I'd be absolutely ecstatic and amazed that a new album would be there, I think I'd miss the excitement and buildup of a release date,” Chloe Irving, a 17-year-old Taylor Swift fan from the UK, said. Waiting three months for an album is, for Swifties, a pleasure and an expectation. For nonfans, though, the cycle seems long because it absolutely is. But it also pays off. The extended release generates headlines, breaks records, and creates piles of money.